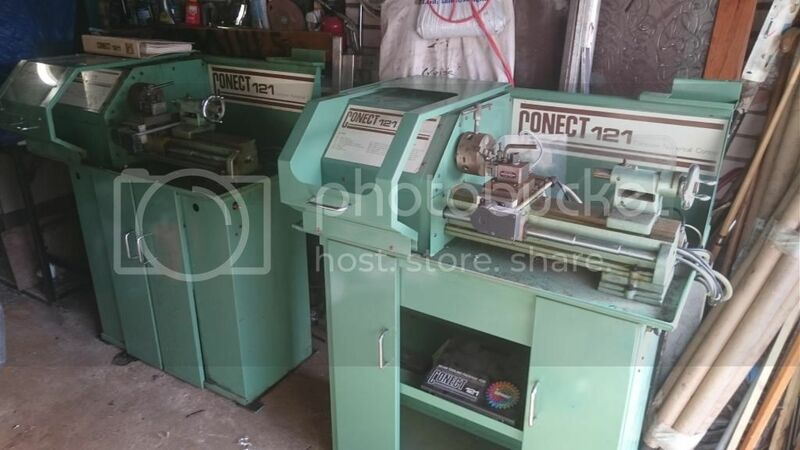 Have manged to find a nice little conect 121 cnc lathe locally and I'm looking forward to my first cnc refit. This will be a small lathe for my dad to play with in his retirement. I'm literally learning as I go with this project and it's going to be a budget build. I have got a nice orac hidden at the rear of the workshop which will be my project but the conect will be a good starting point. I haven't got the machine home yet but I will get some pictures up, it is the same model "hood" has covered in the past. I am going to try and keep the origonal motors and the DC spindle motor. Don't have the motor specs yet but I'm hoping they will be on the motor as i can't find much on it online. I have read that there are KB boards which will allow me to use the DC motor and possibly control it from Mach. If anyone has experience with this motor type and running it with a speed controller please let me know how you did it. I can't remember what they were but I could only find info on one of them. I originally had planned to use steppers but I think I was going to go for new ones, can't recall if it was because they were not suitable for modern drives or if it was just I figured the older motors may be on their way out. Sorry not much help but looking forward to seeing the progress, always good to see another lathe. I still have the DC spindle motor somewhere I think, so if you want it as a spare you can have it for the cost of the postage. Thanks hood! a spare would be very useful, especially if I fremember it trying to hook it up to the bob lol! The lathe arrived today and guest what! it came with a friend! The guy had two of these wee machines and I couldn't resresist! the second one may be sold after I convert it to fund the orac conversion but we shall see! Hood, how do the steppers disconnect from the ball ballscrews?? Looks like there may be a tiny grub screw?? If I remember there was a bored out piece of Alu that slipped over the end of the ballscrew and the stepper motor and just held with a grub screw or possibly a roll pin. 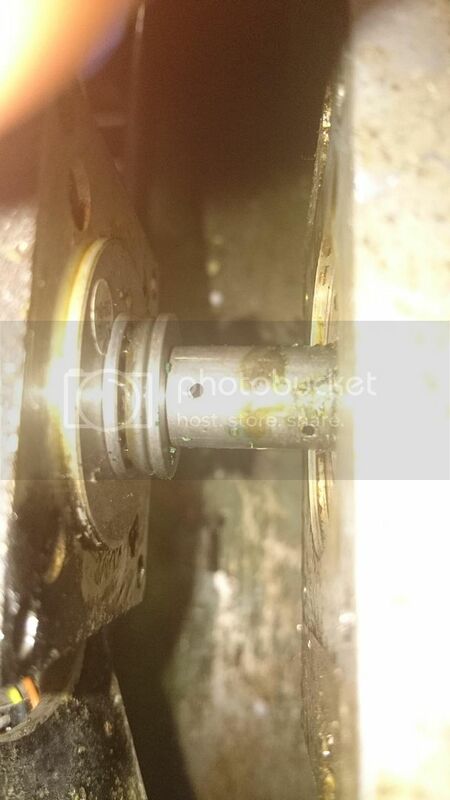 There was a thrust bearing there as well I think and the steppers bearing was used as the second bearing, not the best of setups but probably worked ok.
Also need to figure out if if the existing spindle sensor can be used! Hood do you know what the large alloy box is under the spindle motor? The " alloy box " is simply a base for the motor, nothing else. As for the opto, I think I looked at it and decided not to bother with it, I was going to just use an Optek OPB917B but then went with the IP-S controller so ended up using an encoder. Not got any further with the motors.... Not a lot of info out there. Making buying drivers etc a bit of a pain, Im hoping the motors can take 1.5a as that's as low as the steppers I'm looking at go. Hood, do you know what pitch the ball screws are on each axis? 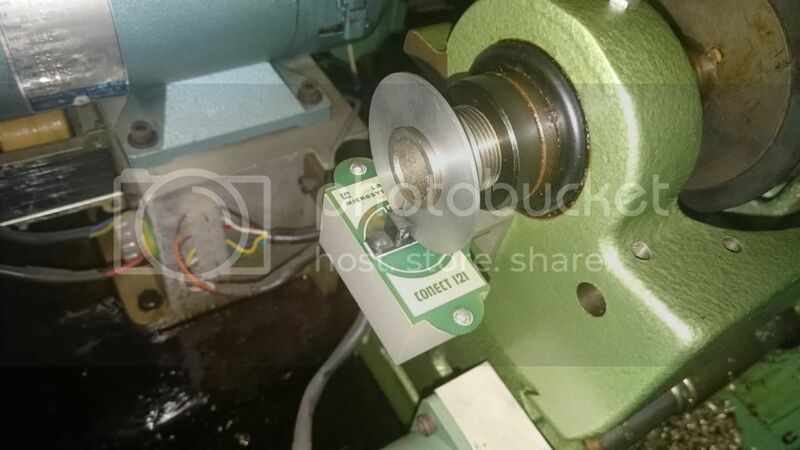 For threading with Mach do I just need a spindle speed sensor?? Also do these sensors go back to the same inputs as like the limit/ home switches or do I need a completely separate board?